Welcome to the 2013-14 NHL season! 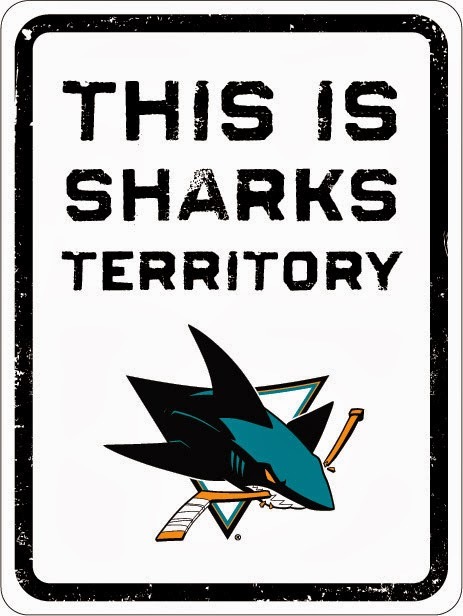 The Sharks are back for another exciting season, starting this Thursday, October 3rd, at the Shark Tank. In an electrifying regular season matchup, the Sharks face their rivals, the Vancouver Canucks (a team all fans have loved to hate, especially after their responsibility for the Sharks’ third round exit during the 2011 Stanley Cup Playoffs). This year beings new hope and new updates to the Sharks team fans have grown to love and support. With the pre-season over and the regular season starting today, it is time for fans to dust off their Sharks paraphernalia from their storage bins, time to renew their memberships to hockeystreams.com (as opposed to the highly restrictive and overpriced NHL GameCenter Live, and here is why), and time to add game times to their calendars (it is easy to do with Google Calendar by first going to ‘Other Calendar’ then browsing ‘Interesting Calendars’). In addition to bringing on the new season, here are some newsworthy updates for all Sharks fans alike. While the Sharks tried out a multitude of new players and line combinations during the pre-season, most notable is the off-season acquisition of Tyler Kennedy, previously of the Pittsburgh Penguins (from the Eastern Conference). In Pittsburgh, Kennedy was known for this hard-nosed style, working hard for goals, battling in the corners, and dishing out hits. For a Sharks team known to have a tough forechecking style, a player like Kennedy is a good fit for the team. This is a change from the previous versions in order to aim for a more cleaner, simpler look, by removing the black color from the shoulder area and the stripes from around the waist. Essentially, the jerseys are exactly the same as they were before. Unlike the new white and teal versions, the black colored "sweater style" third jerseys have not changed. 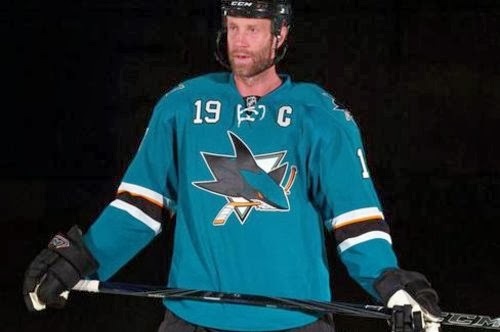 The third jerseys originally lacked similar stripes as well, and it is possible the slight changing of the white and teal jerseys may have been done so all have a similar look to them. The pre-season is by no means a measure of a team’s success in the regular season, since games and points do not count, and the time spent during pre-season is primarily used to try out new combinations and players opting to make the regular roster for the season. It is commonplace to see the Sharks swap players to and from their American Hockey League affiliate, the Worcester Sharks, regarding players who must prove themselves worthy of playing at the NHL level – the highest level in the world. During this year’s pre-season, the Sharks played the Canucks, Coyotes, and the Ducks - each twice. While the Sharks won once and lost once to both the Coyotes and the Ducks, the Sharks bested the Canucks both times. Tomas Hertl, a 2012 first round draft pick for the Sharks, was able to make his name more well known during the second game against the Canucks, scoring two in a Sharks 5-0 rout. Contributions from the usual goal scoring threats, including Logan Couture, Joe Thornton, and Dan Boyle, rounded out much of the pre-season’s success. Joe Pavelski and Tommy Wingels returned with strong showings as well, reminding fans that the team is ready to do battle this season. Based on what I have seen so far, the Sharks look like a team that has made an effort to even out their strengths, as in having an offense, defense, and special teams (i.e. power play, penalty kill, and other special situation groups) that are all strong, but no better than one another. This style is opposed to teams (typically in the Eastern Conference) with high powered offenses (but without defense), and other such uneven combinations. Let us have a strong season this year! It all begins Thursday. Go Sharks!